As today is Star Wars Day, and marked with a public holiday in the UK, I’ll start with some reminiscing. When I was a child, the only place you could see a Star Wars film was on TV. The excitement and anticipation while waiting for it to begin were immense. Then finally, the screen faded to black, and there would be the famous drum roll, before the 20th Century Fox logo came into view. In 1999, the same excitement was transferred to the cinema for the release of the first of the prequel trilogy. The trailers ended, and there was a brief pause in the darkness as the screen extended, before those drum beats sounded. See what the opening sequence looked and sounded like on Youtube. In the Star Wars movies, the second part of the fanfare accompanies the Lucasfilm logo, and so perfectly does it fit into the opening sequence that many people believe this part was composed by John Williams. It is said that George Lucas liked the old fanfare, which had fallen our of use once CinemaScope became commonplace, so decided to use it for his film, and that John Williams deliberately composed the Star Wars theme in the same key as the fanfare, B flat major. For the original 1977 Star Wars (later titled A New Hope ), Alfred Newman’s own 1954 recording of the fanfare was used. For The Empire Strikes Back , John Williams re-recorded it with the London Symphony Orchestra, and this recording was used for many other Fox releases afterwards. The opening sequence remained the same when the prequel trilogy was released in the ’90s and 2000s. 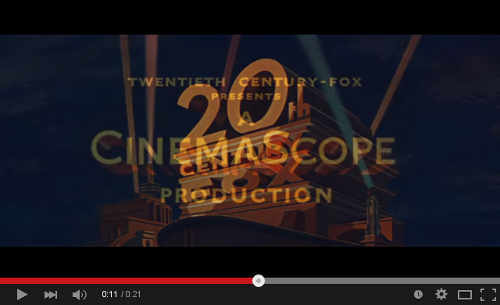 Despite Fox having moved on to a 3D, rotating version of their logo with a lighter, less militaristic-sounding version of the fanfare, Star Wars retained the classic static logo, which left room for an updated Lucasfilm logo during the CinemaScope phase of the music, and Williams’s recording. With the announcement in 2012 that Disney was to purchase Lucasfilm, it became clear to some fans that the opening of any future Star Wars films would have to change. With the films no longer distributed by 20th Century Fox, they could naturally no longer begin with the famous fanfare. This led to much speculation about what would take its place, with suggestions such as the Disney castle with the Death Star in the background. The assumption was that we wouldn’t find out until Episode VII is released later this year. 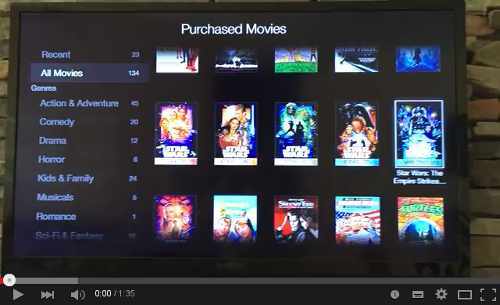 However, last month saw the release of all six existing films in digital streaming format for the first time, and purchasers soon discovered that Disney have already removed the Twentieth Century Fox opening from all but Episode IV. Distribution rights to all of the other films came as part of the Lucasfilm deal, but Fox owns the original in perpetuity. Now, I feel company logos and music are very much part of a film, and these are rarely changed in re-releases. One can watch the James Bond series and see all sorts of old United Artists logos, rather than them being replaced by the MGM roaring lion. And if you see an old Paramount movie, you are informed that it is “A Gulf+Western Company”, despite that industrial conglomerate having disintegrated by the end of the ’80s. By all means, stick a new logo before the film starts on the DVD release, but the original logos and music should stay with the film. Unfortunately, there is a precedent for all aspects of the Star Wars to be altered with each new release, often not for the better, so it should come as no surprise that Lucasfilm should remove the Fox opening at the earliest opportunity. So what replaces the old logo and fanfare? 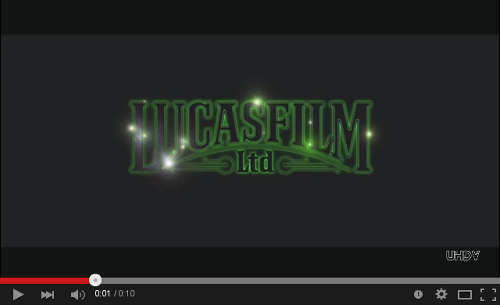 The films now begin with the Lucasfilm logo alone, accompanied by a re-edit of some of the closing title music from The Empire Strikes Back .